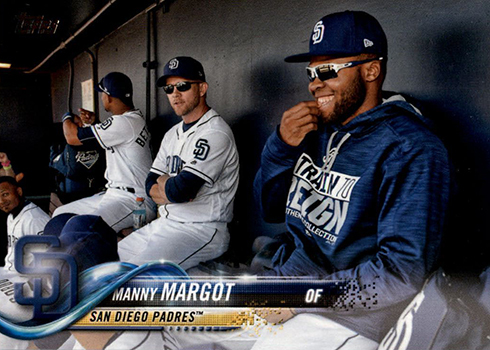 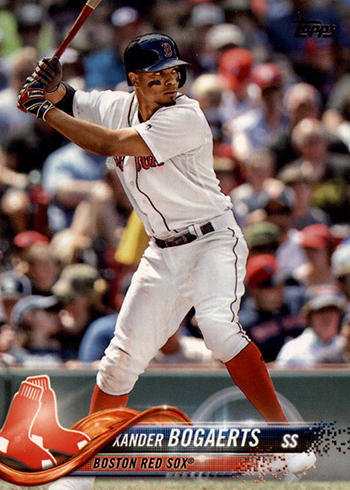 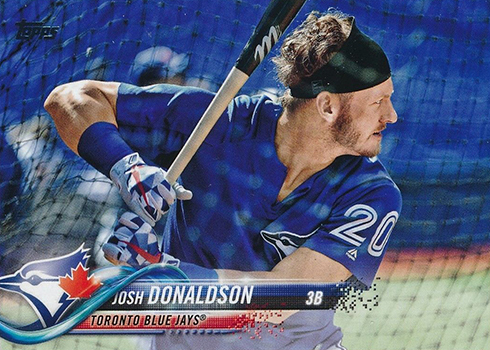 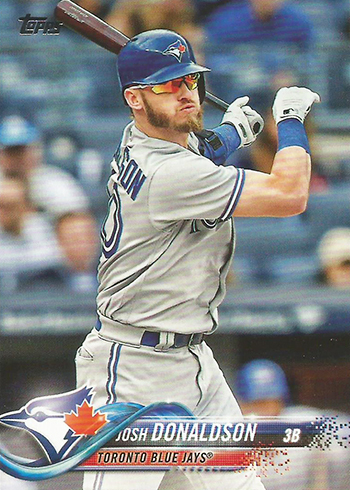 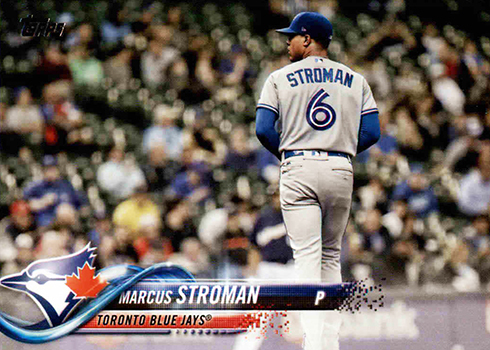 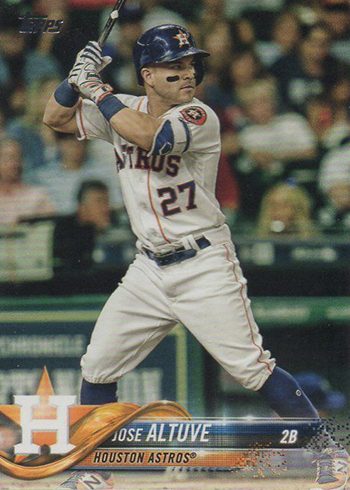 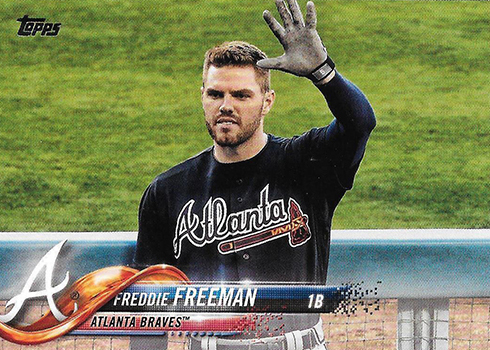 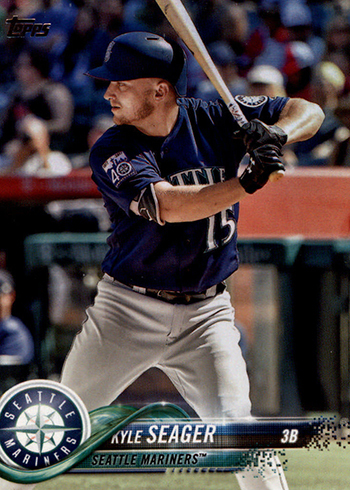 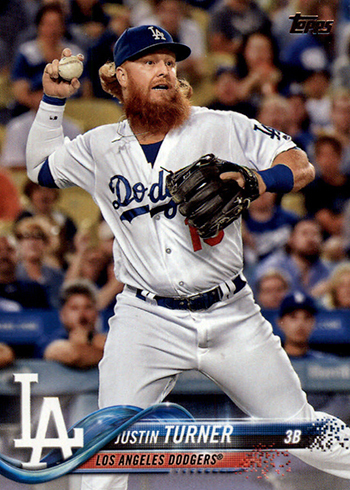 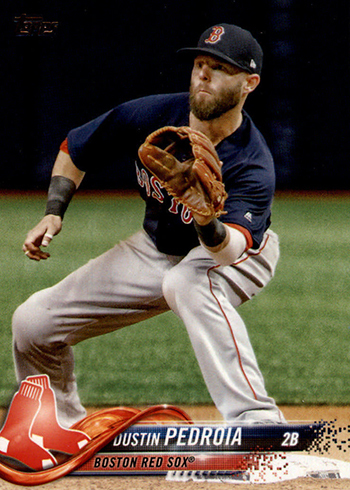 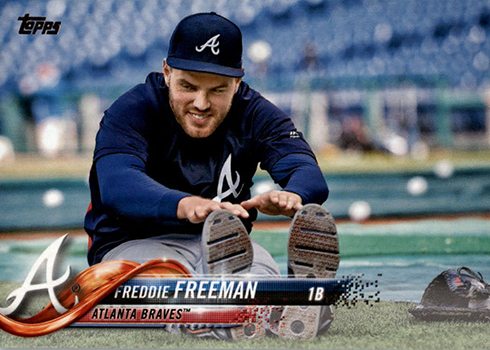 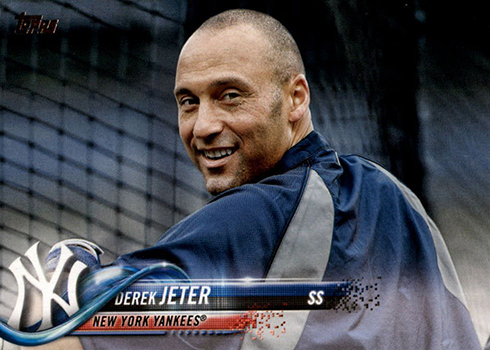 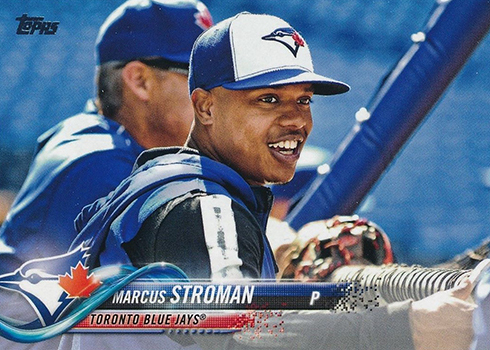 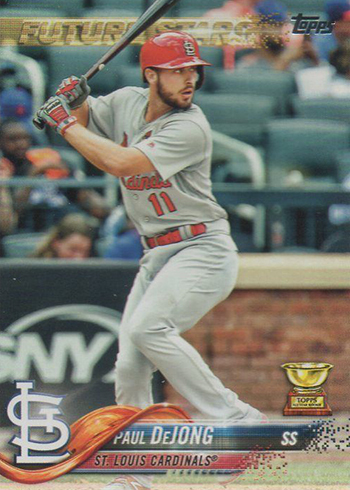 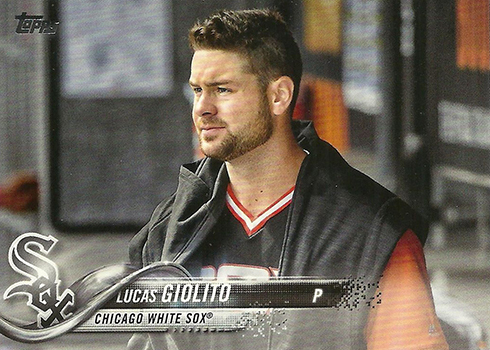 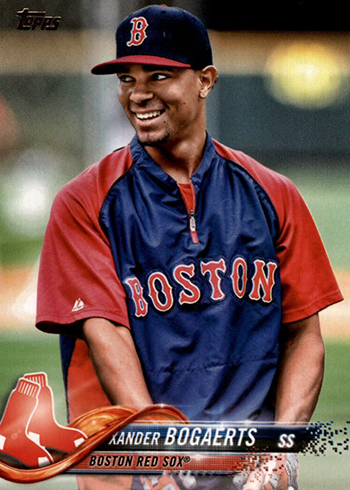 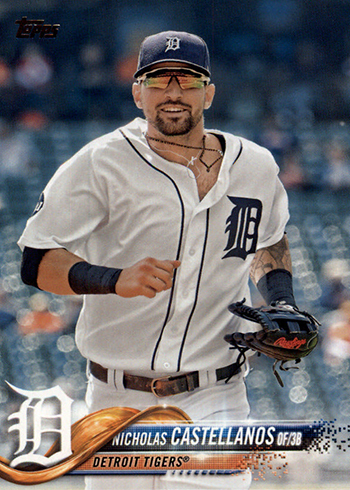 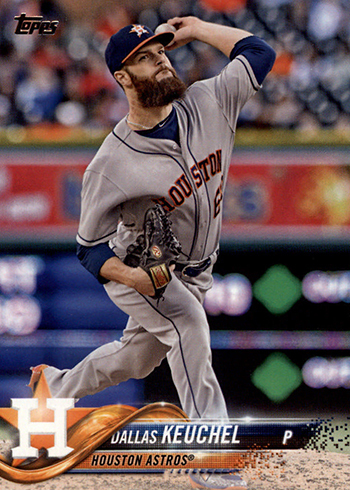 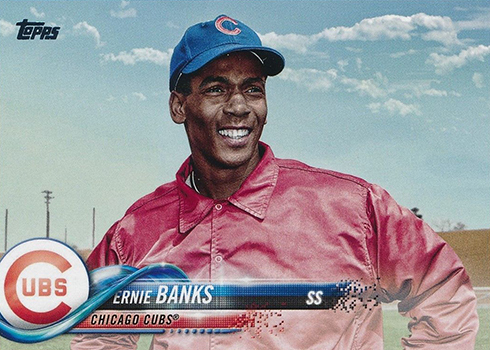 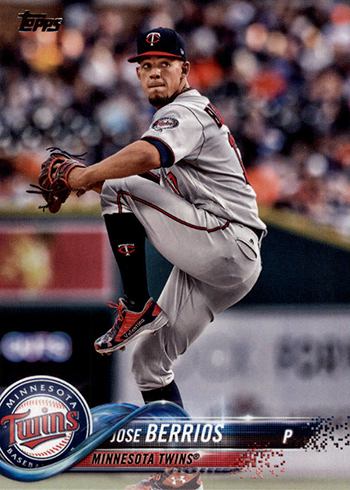 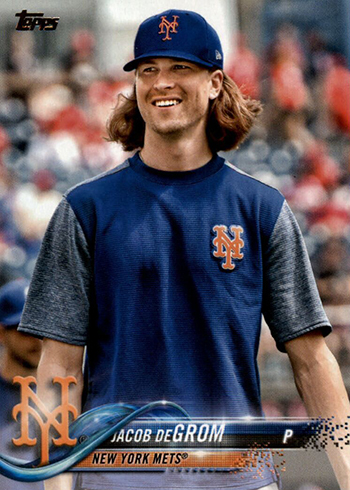 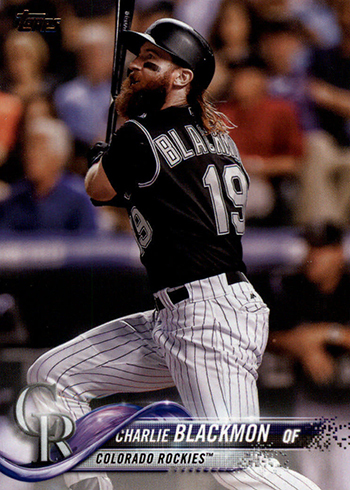 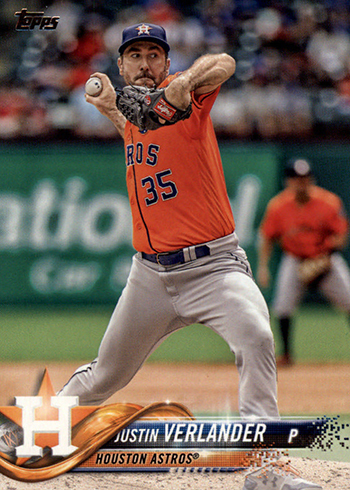 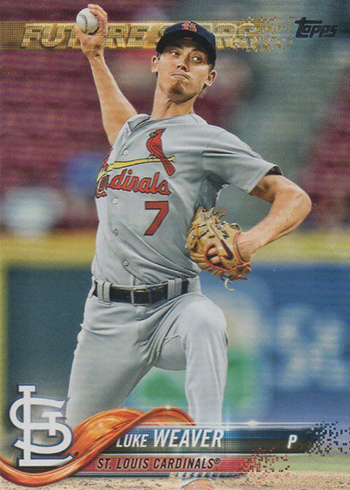 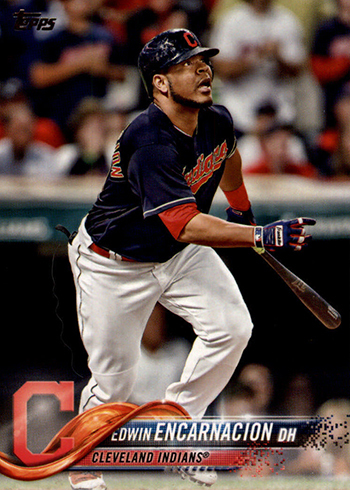 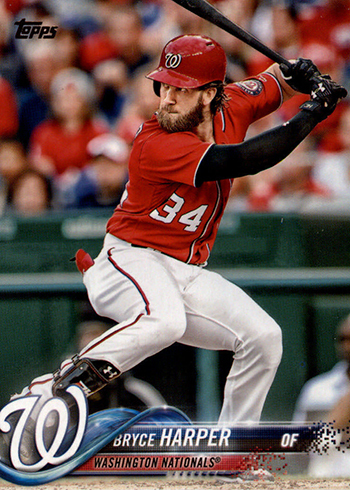 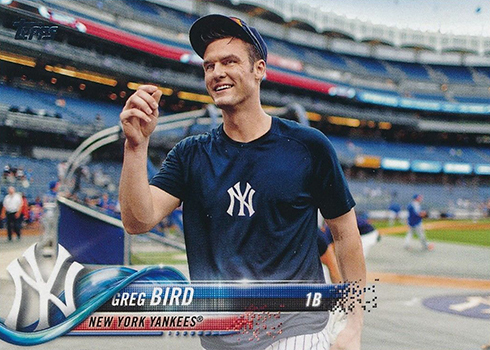 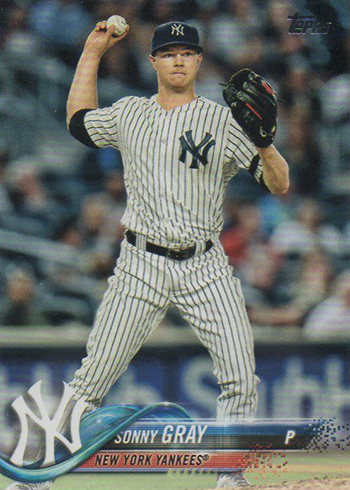 The 2018 Topps Series 2 Baseball variations are taking a similar path to Series 1. 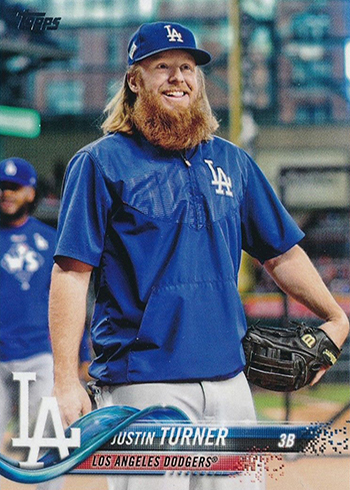 First off, there’s lots of them. 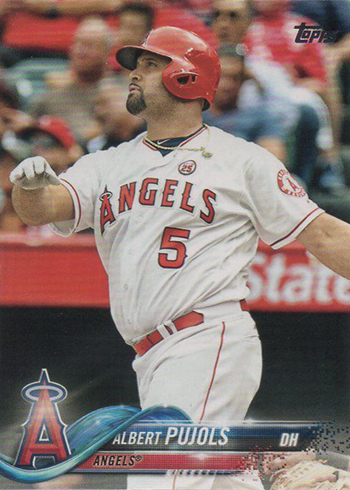 Secondly, they come in multiple tiers. 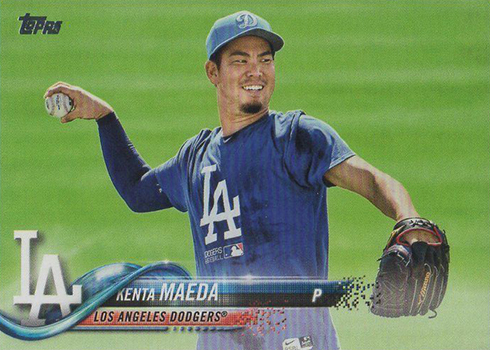 That means SP and SSP variations. 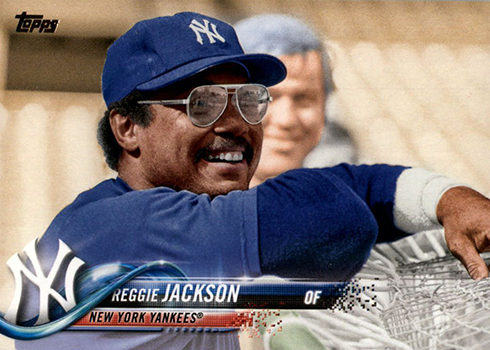 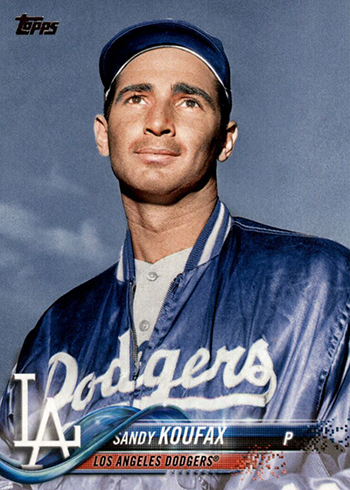 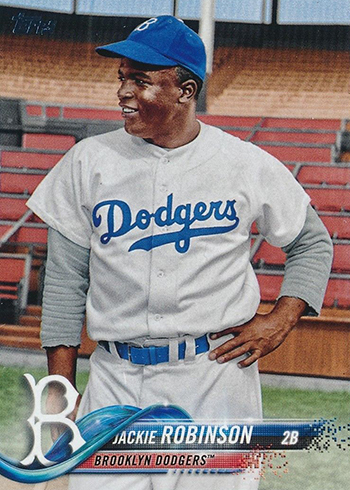 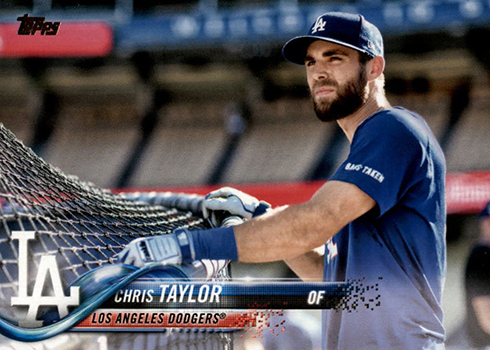 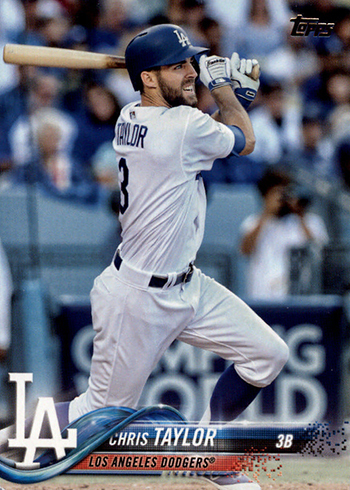 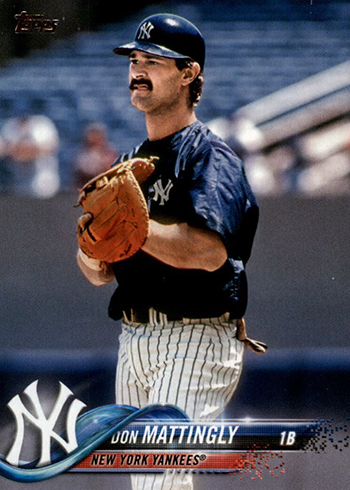 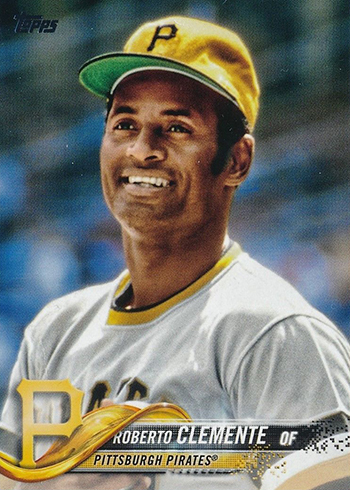 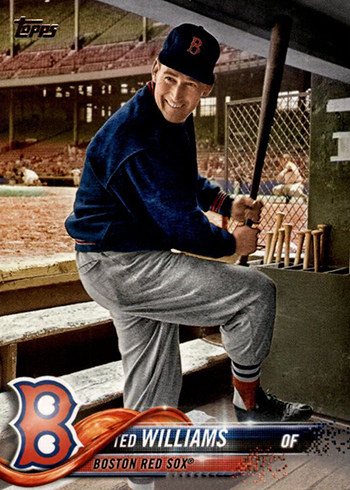 But the 2018 Topps Series 2 variation short prints are doing something different as well — they have retired legends. 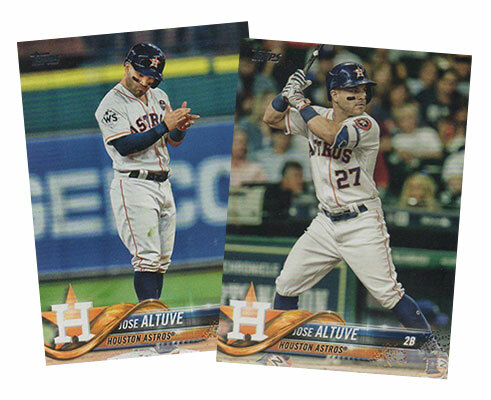 And a couple of high-profile rookies get their first flagship cards, as well. 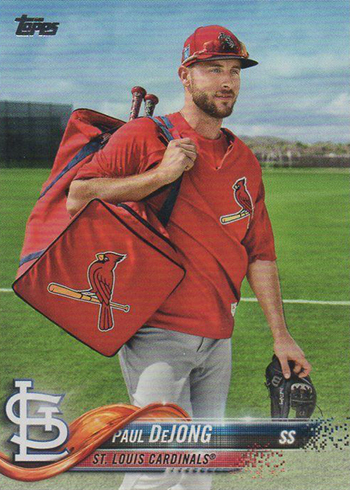 Warm-up gear is another theme for the Series 2 SP variations. 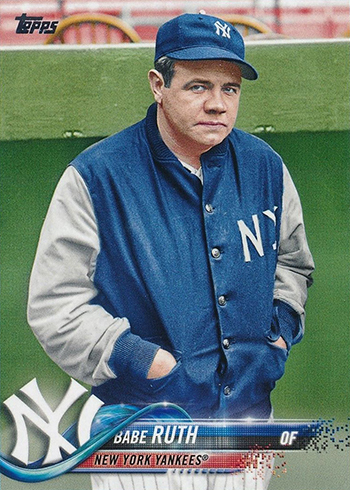 Many of the cards in Series 1 went in the same direction. 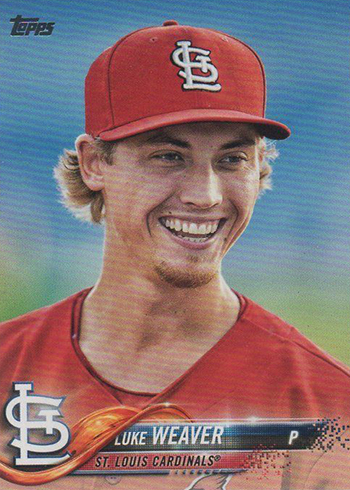 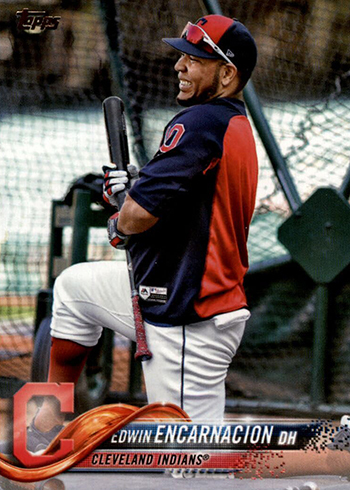 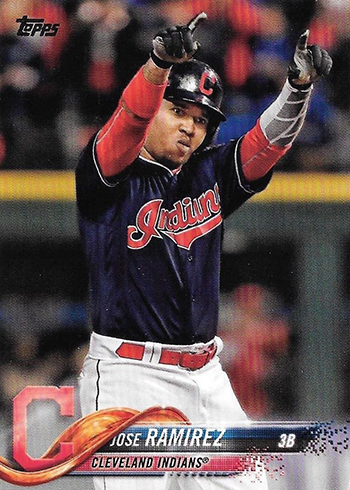 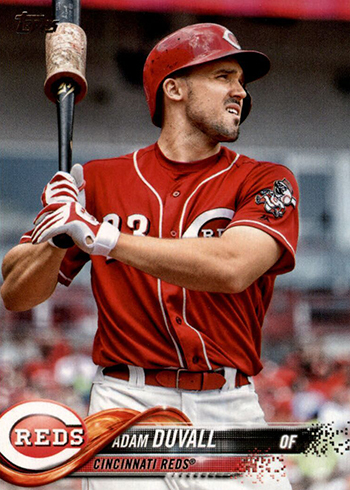 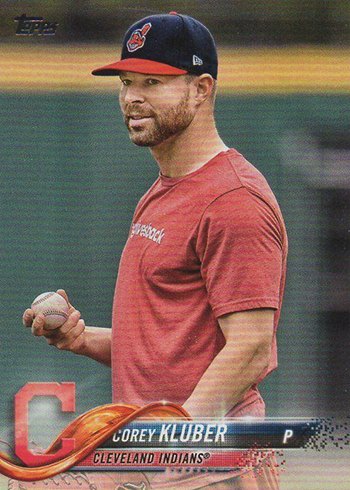 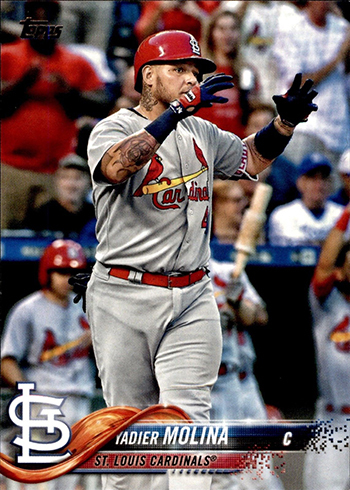 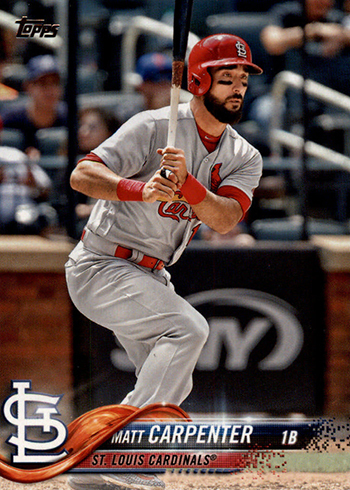 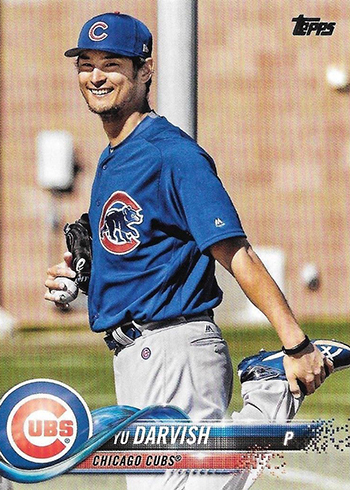 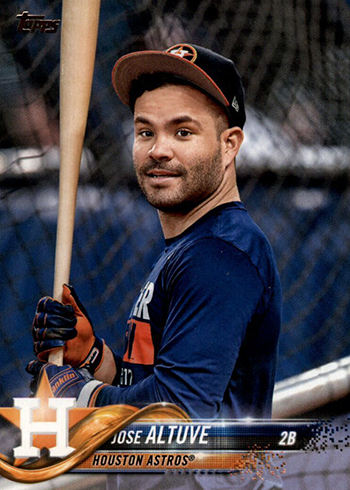 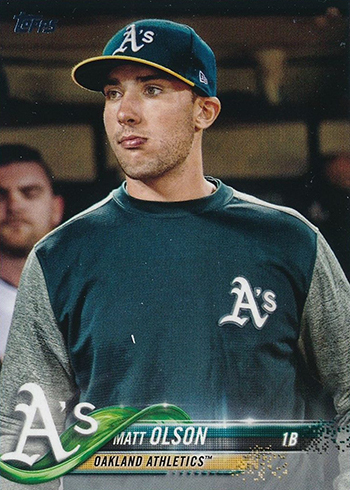 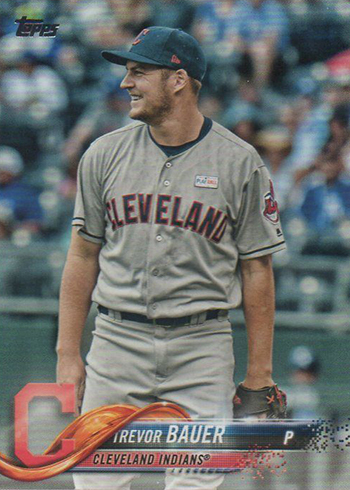 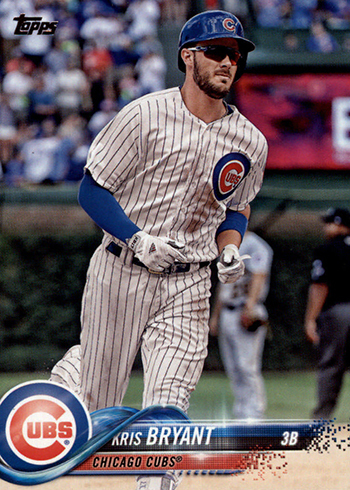 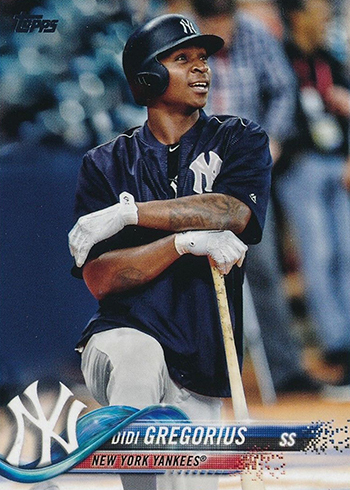 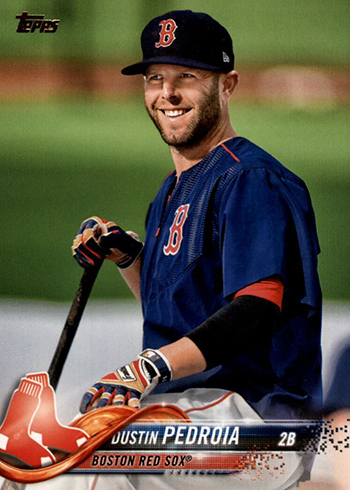 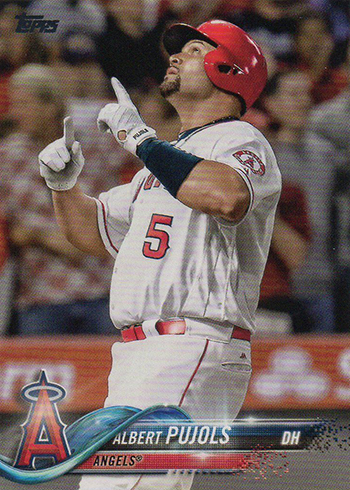 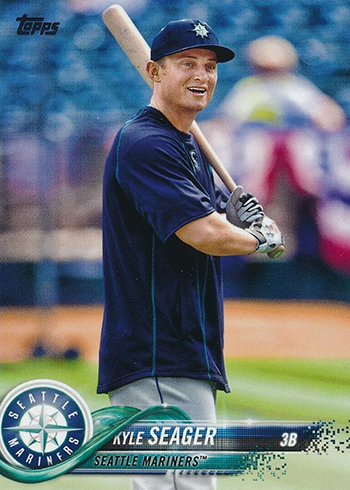 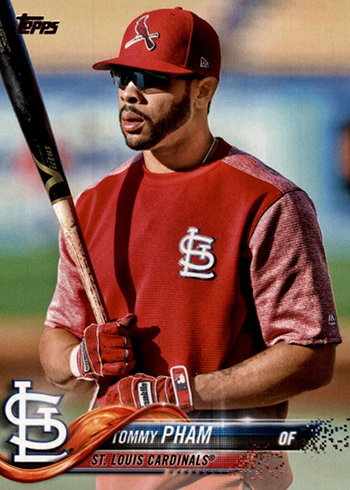 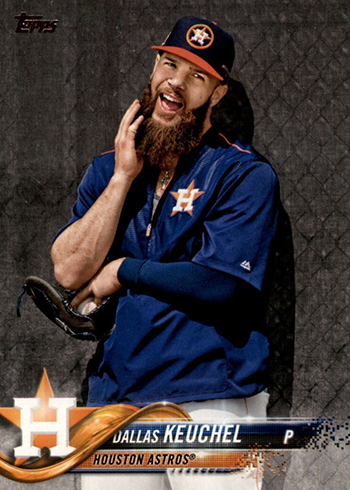 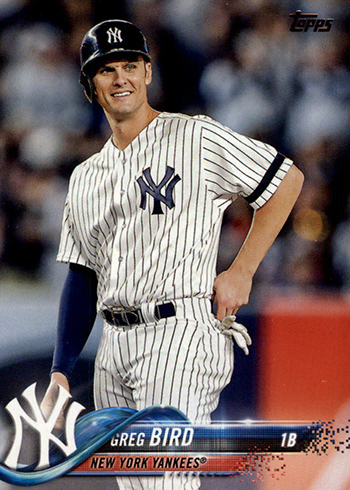 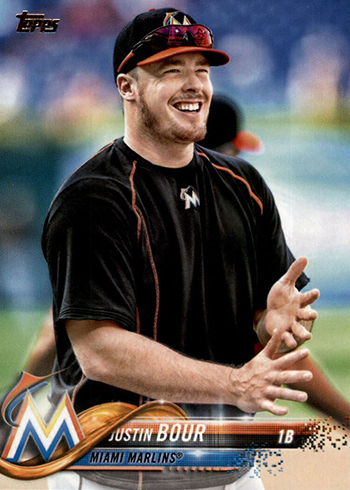 The more rare 2018 Topps Series 2 SSP Variations use more expressive photos for the most part. 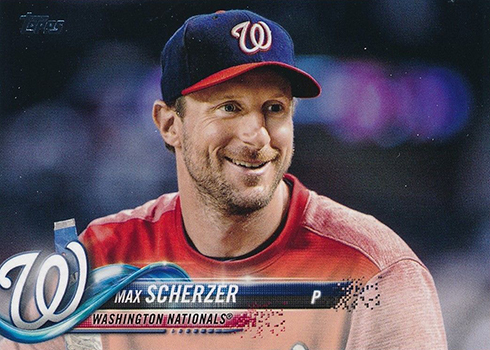 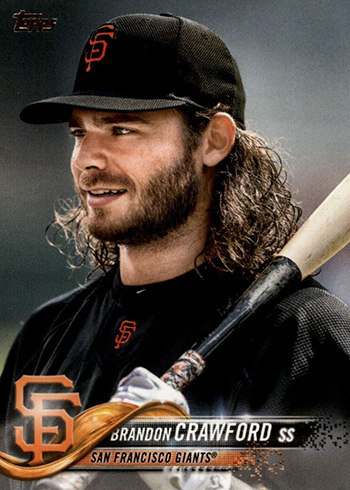 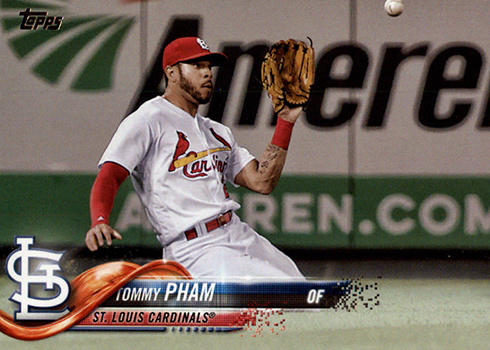 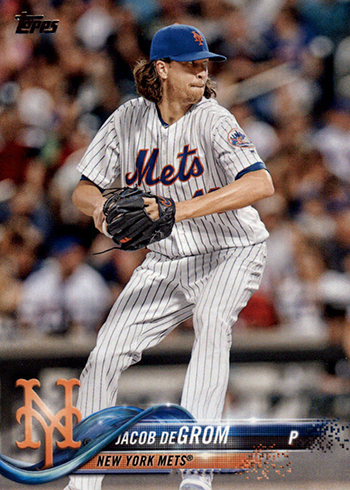 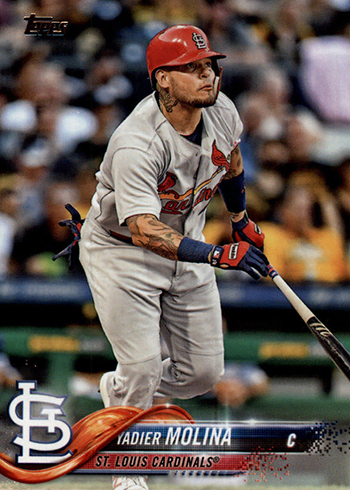 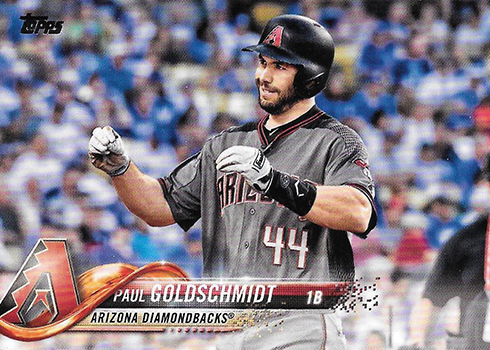 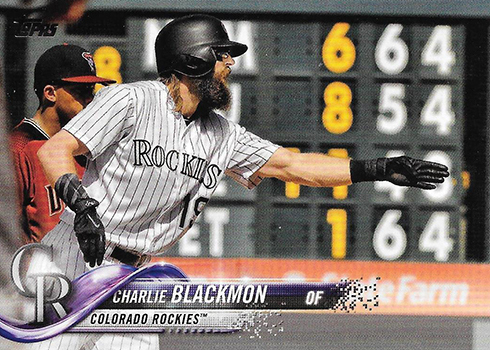 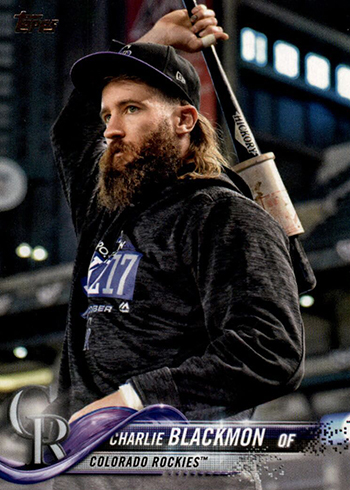 The 2018 Topps Series 2 Baseball variations checklist has 102 total cards including SP and SSP. 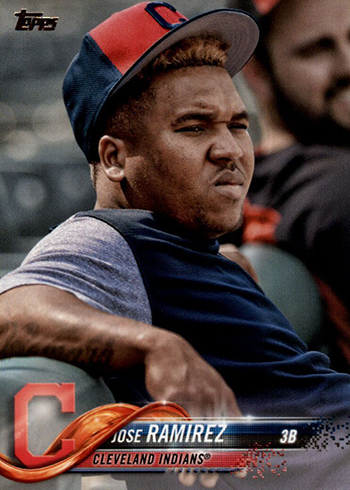 This is pretty much the same as Series 1. 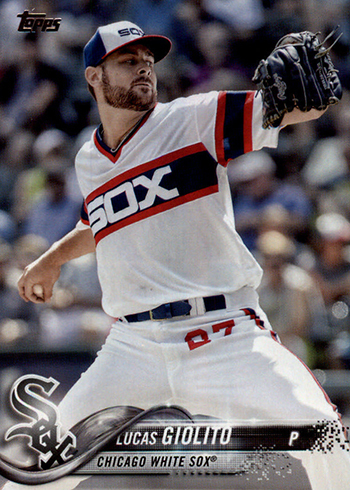 SP cards total 75 cards to go along with 25 scarce SSP cards. 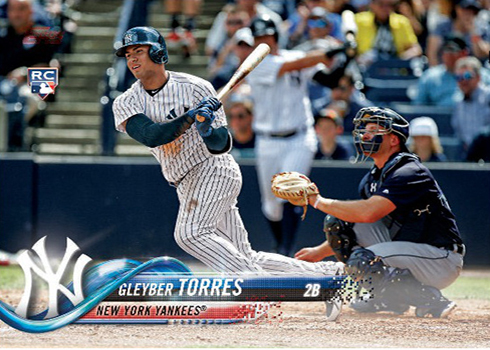 On top of these are two late additions to the 2018 Topps Series 2 checklist, Ronald Acuña Jr. and Gleyber Torres. 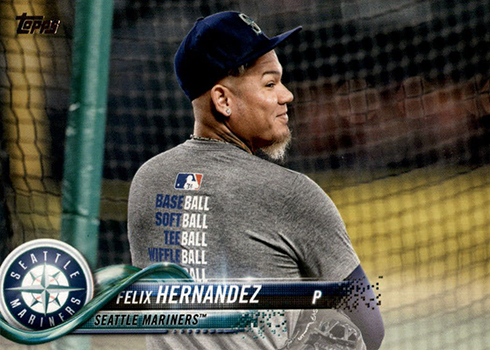 While they do have flagship cards, they’re variations, sharing a checklist spot with another player. 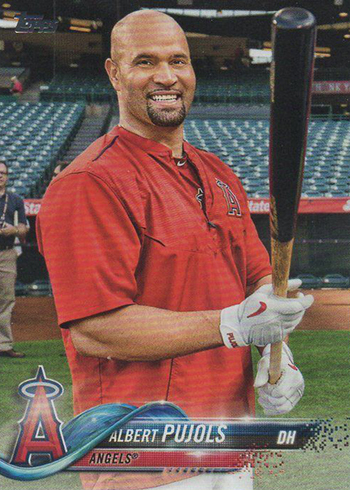 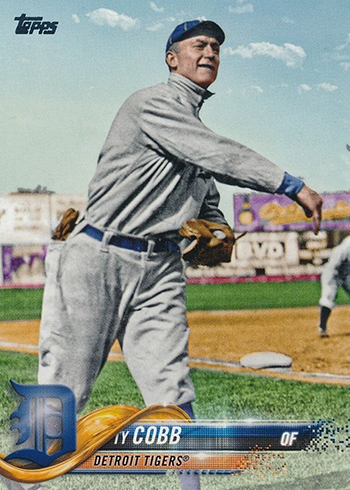 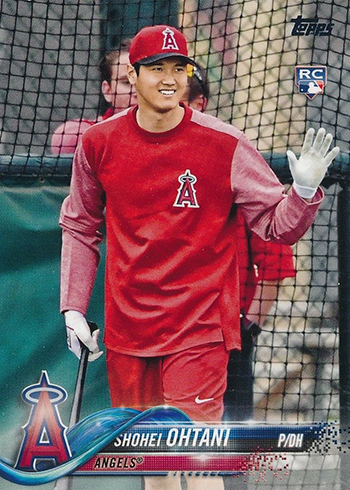 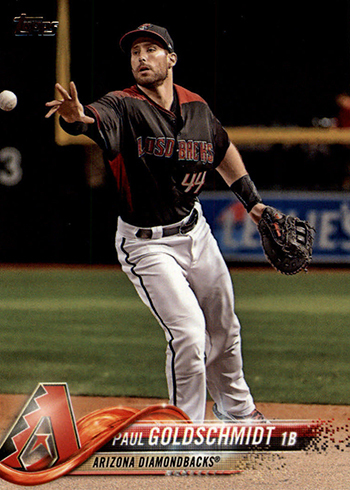 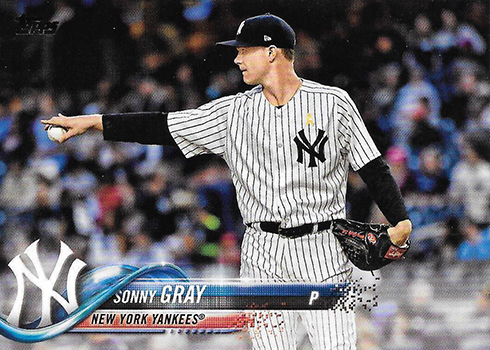 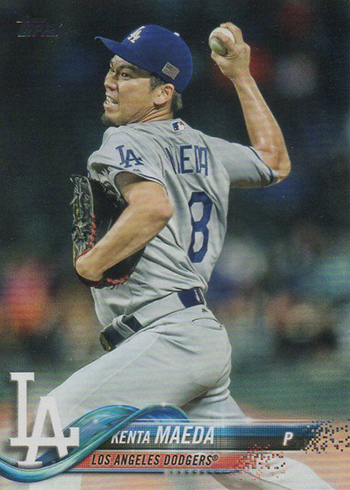 This is similar to the situation with Shohei Ohtani in 2018 Topps Heritage Baseball where he is one of the Action Variations. 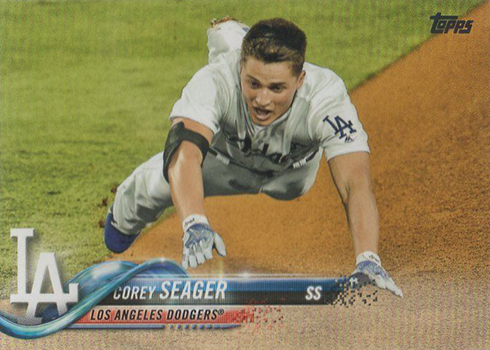 Because the cards are variations, they’re essentially inserts. 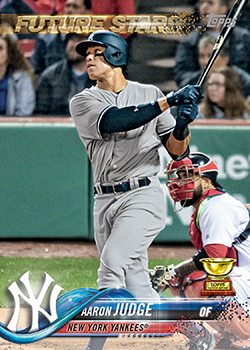 Many will treat them as Rookie Cards, however because of their insert standing, the 2018 Topps Series 2 Torres and Acuña variations will not have the RC tag in the Beckett database. 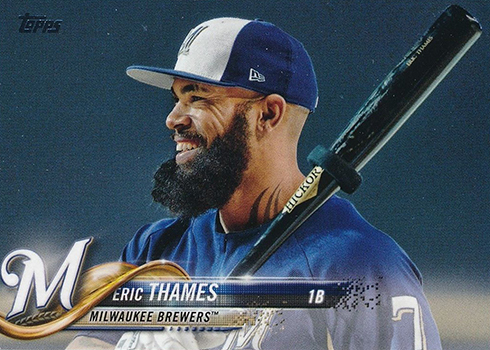 Exact odds on the two Rookie Variations isn’t known but it appears they’re about one per case. 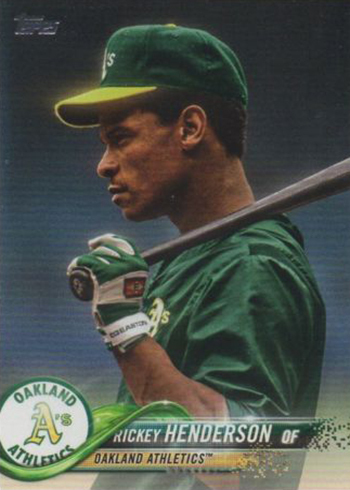 For a handful of cards, the number of the variation doesn’t match the base card. 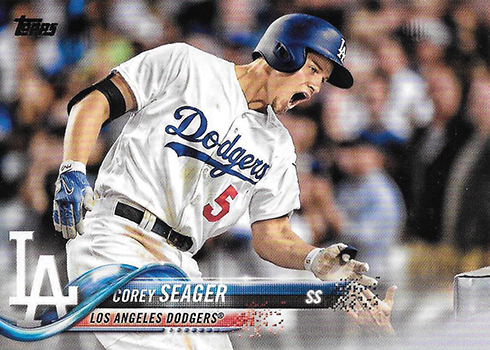 For example, Corey Seager is #550 in the main set. 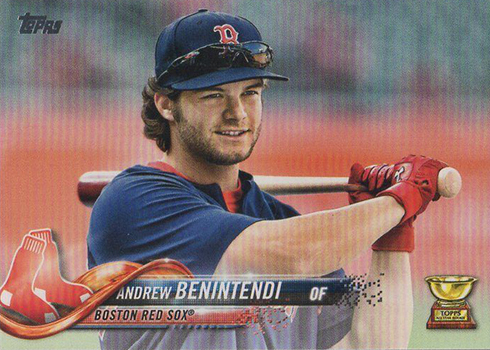 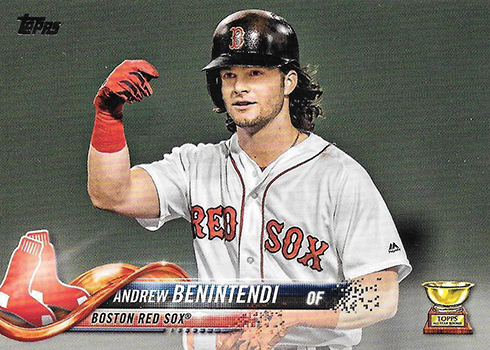 His variations are #556, overlapping with Andrew Benintendi. 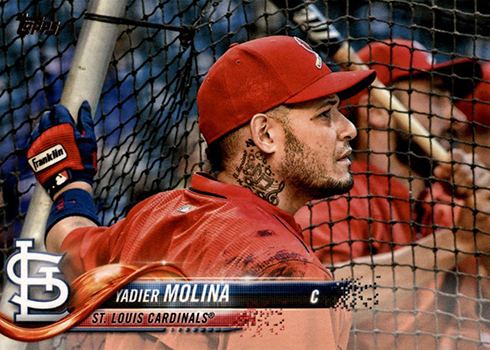 The impacted cards are noted in the gallery. 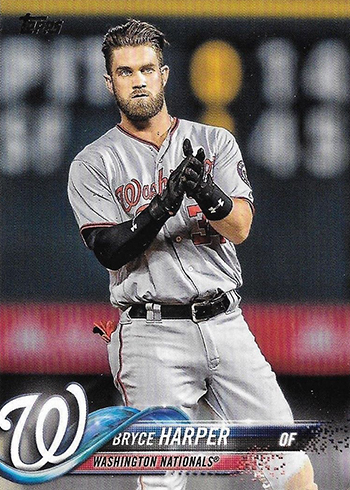 The 2018 Topps Series 2 base set has a couple mix ups with its numbering. 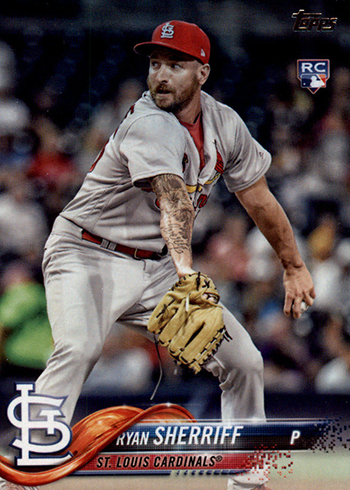 Cards 364 and 565 do not exist. 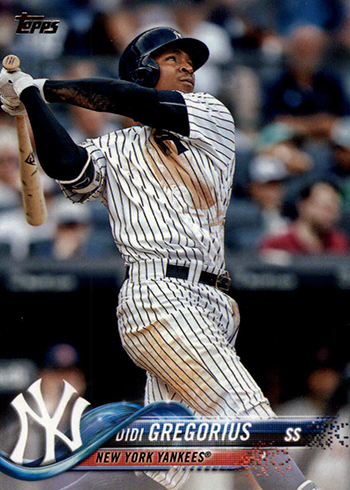 Instead, both Mallex Smith and a Dodgers Combo Card share #365. 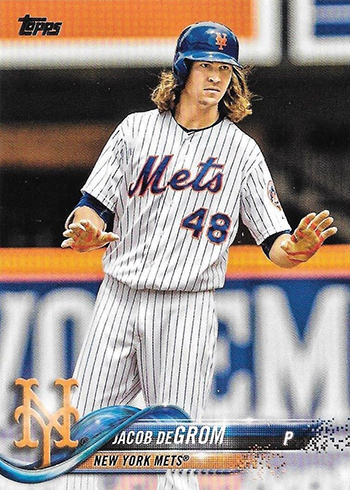 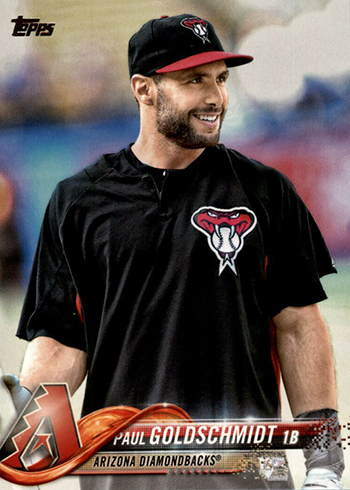 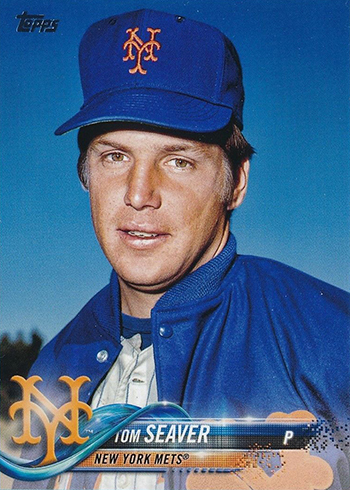 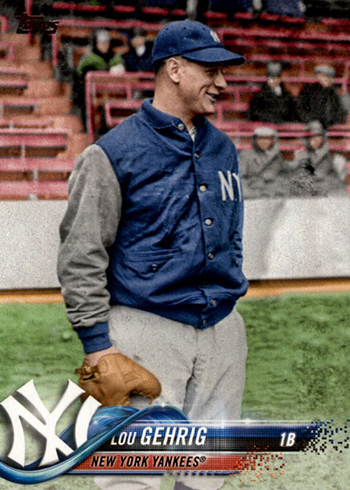 Joey Rickard and the New York Mets Team Card are both #564. 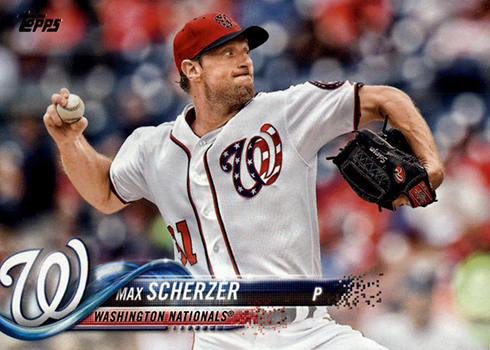 It may seem like these point to variation short prints. 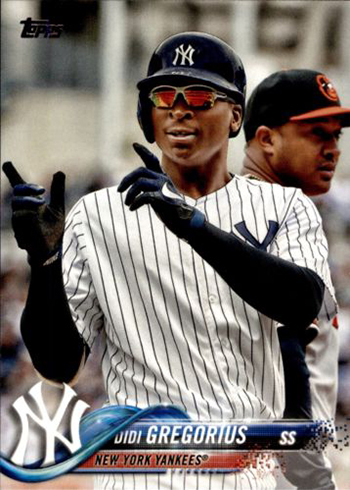 They’re not. 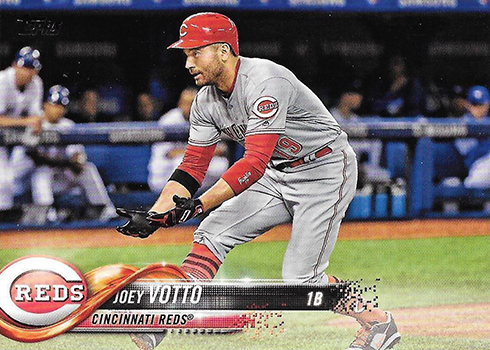 How Hard Are 2018 Topps Series 2 Variations to Find? 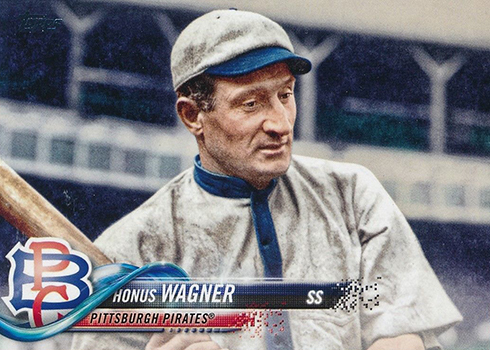 Some of the variations won’t be too difficult to find, at least in the first while after the product releases. 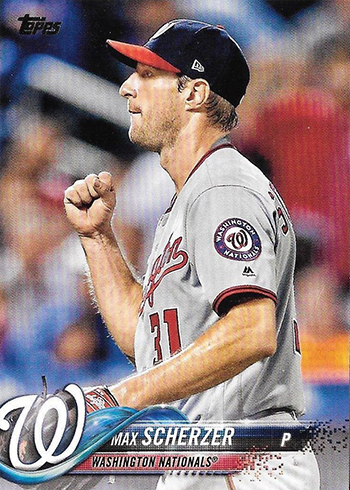 Regular SP cards are 1:30 2018 Topps Series 2 hobby packs and 1:6 hobby jumbo packs (retail odds are not yet known). 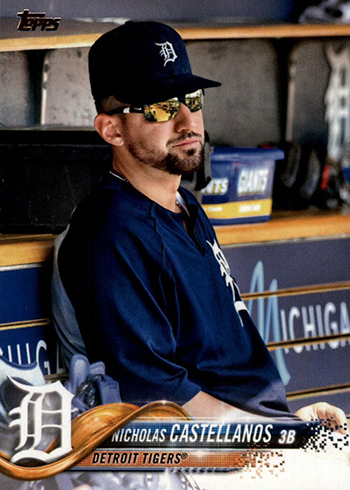 That makes them about one or two per box. 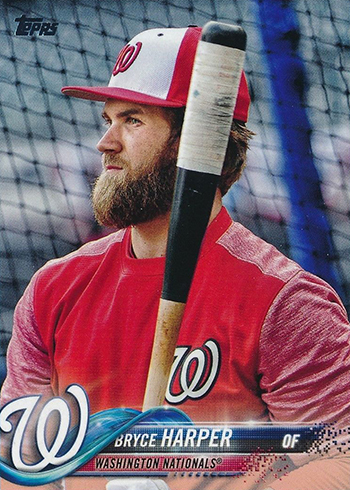 Even with the large checklist, these shouldn’t be too terribly hard to find, particularly if you’re just looking for one or two of a favorite player. 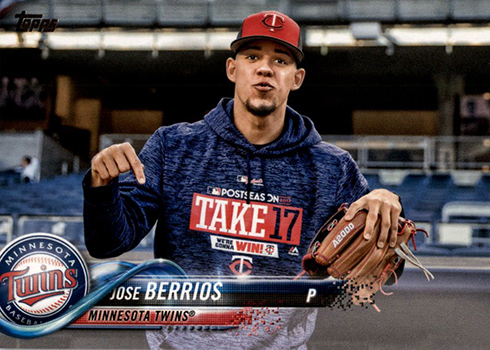 2018 Topps Series 2 SSP cards are much tougher, falling 1:886 hobby packs and 1:177 hobby jumbo packs. 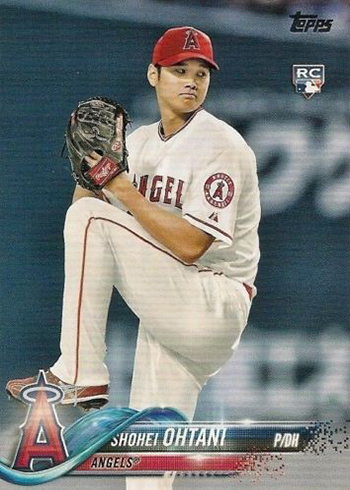 At the case level, that’s almost 1:3 cases for one of the SSP cards. 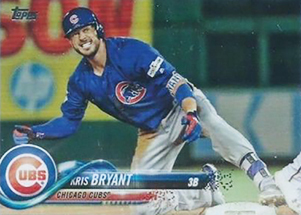 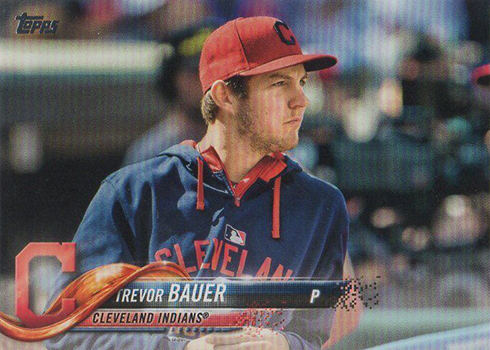 On the retail side, SP variations are 1:25 packs, 1:5 hanger boxes and 1:9 fat packs. 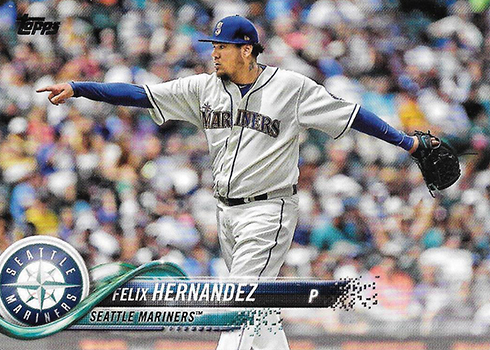 SSP are 1:737 regular retail, 1:123 hanger boxes and 1:246 fat packs. 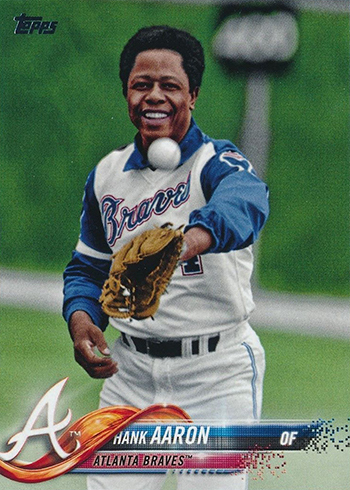 It’s not yet known where the Torres and Acuña cards fall, although they’re believed to be more in line with the SP cards than the SSP. 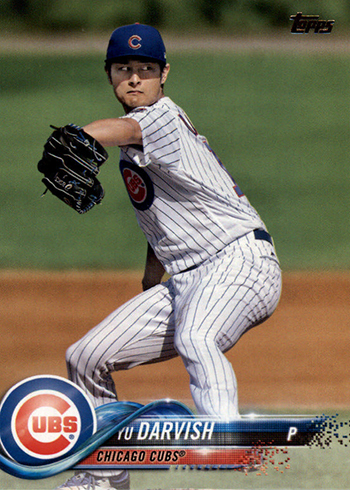 In addition to the variations, select cards also have autographed versions of their SP and SSP cards. 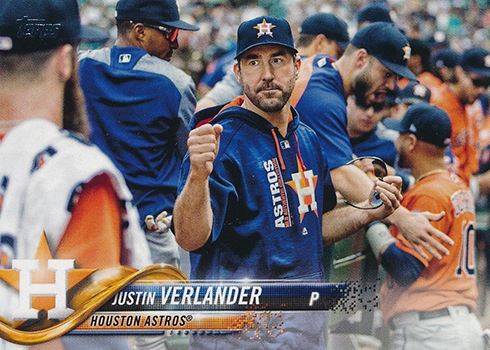 If you’re still not 100 percent sure you have a variation or not, you can use the back of the card to confirm it. 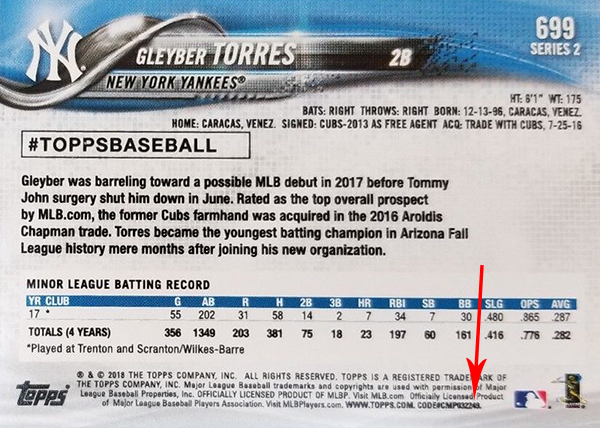 As is the case with most Topps sets, there’s a block of fine print. 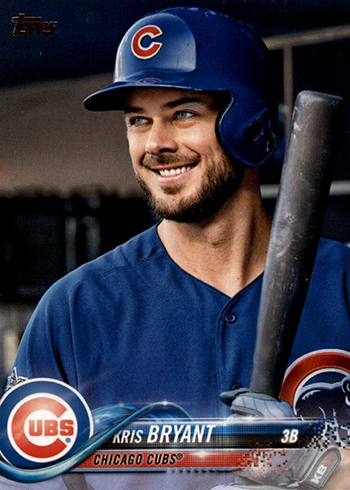 At the end of that is a code. 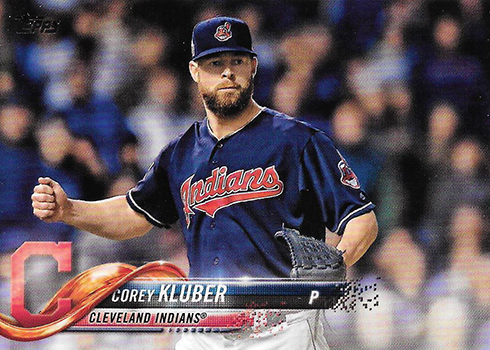 The codes change depending on the type of card. 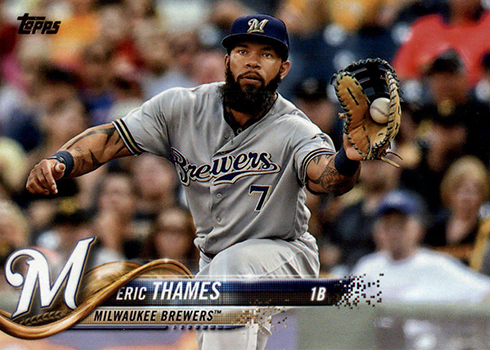 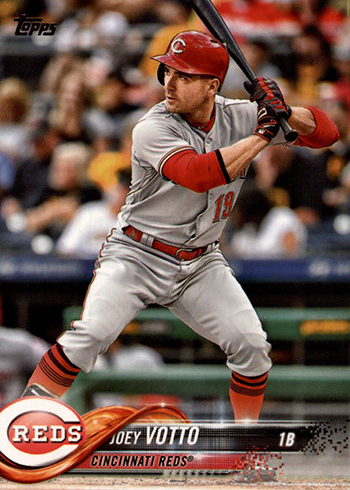 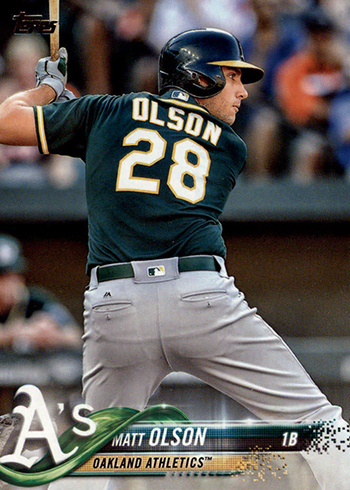 The following is a quick checklist of all the 2018 Topps Series 2 Baseball variation short prints. 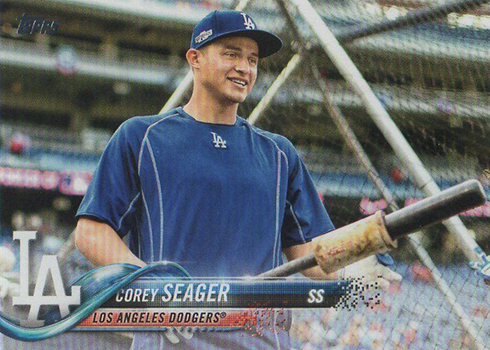 Known tougher cards are noted with SSP. 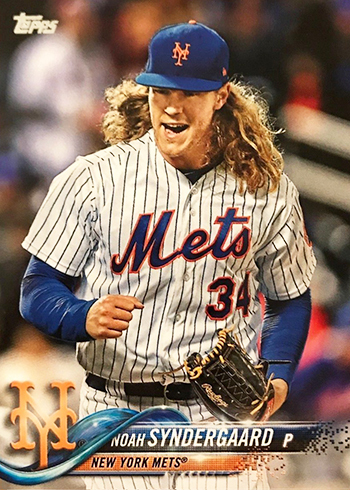 Looking for a specific card? 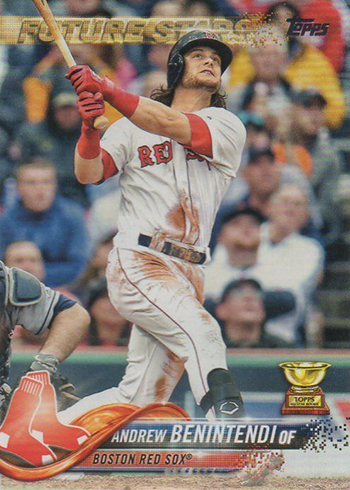 Click on the link to see what’s currently available on eBay. 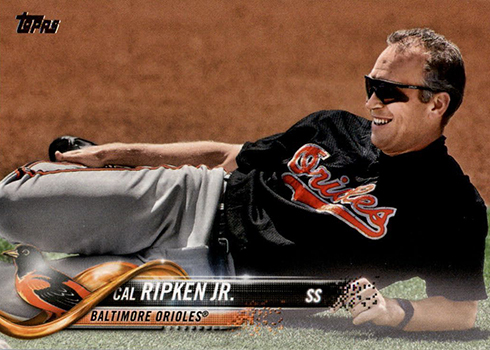 SP Variation – Cal Ripken Jr. 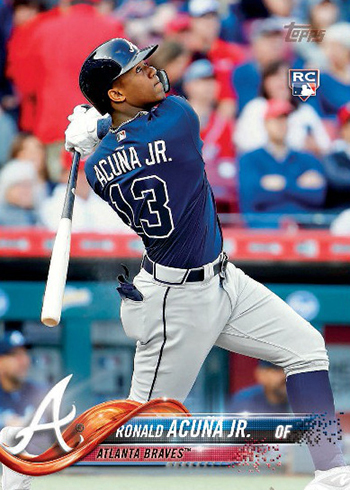 Rookie Variation – Ronald Acuña Jr.
Jeez Topps… always screwing up the numbering. 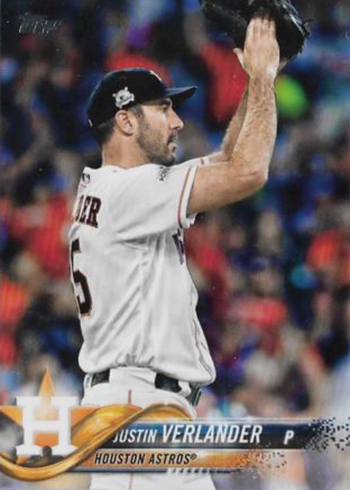 Somebody needs to make a note somewhere that the last thing you do before a set goes into production is make sure the cards are numbered correctly! 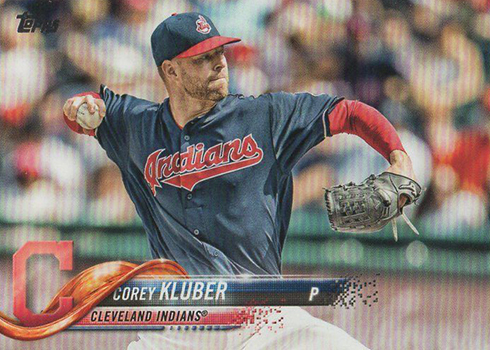 Just finished opening a hobby box and going by the variations gallery I got a Derek Jeter SP and a Corey Kluber SSP. 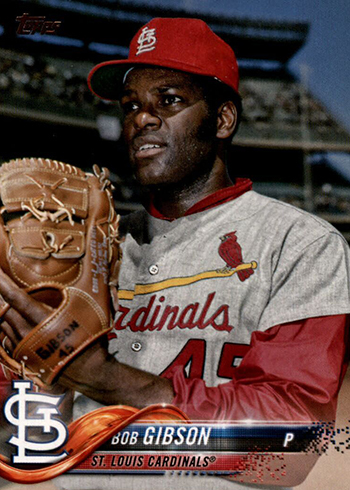 You show the code endings for such cards as 112 and 114 respectively but the card backs read 412 and 414. 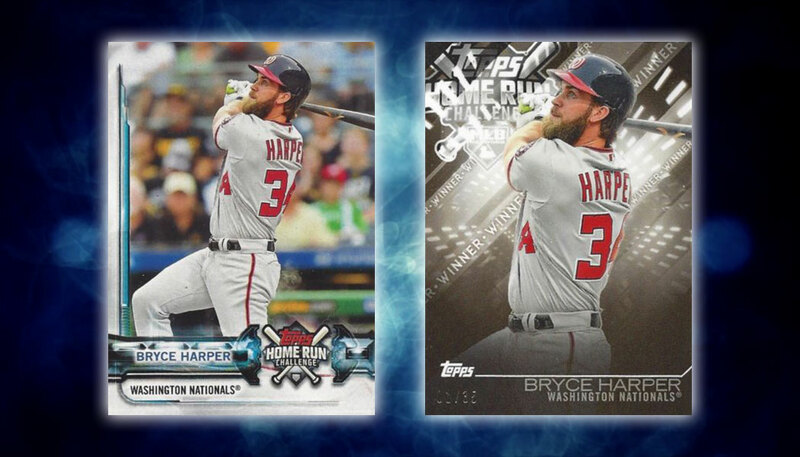 Also, according to the Topps promo for these cards, you are supposed to receive 1 silver pack with a hobby box and 2 silver packs with a hobby jumbo box. 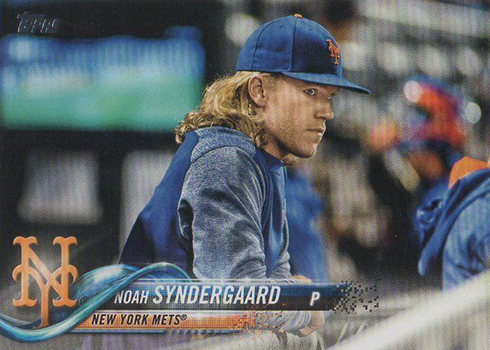 I did not receive a silver pack nor did I receive any with a hobby jumbo series 1 I ordered previously (but I eventually got them after writing to Amazon). 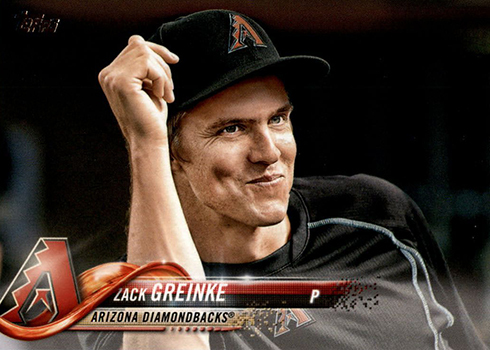 My question is does the dealer have to honor the Topps promo if they are selling their products? 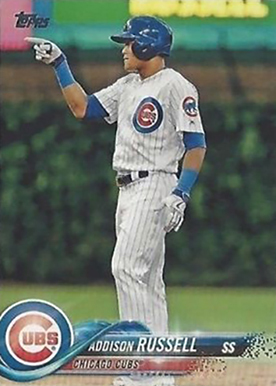 Thanks for any advice. 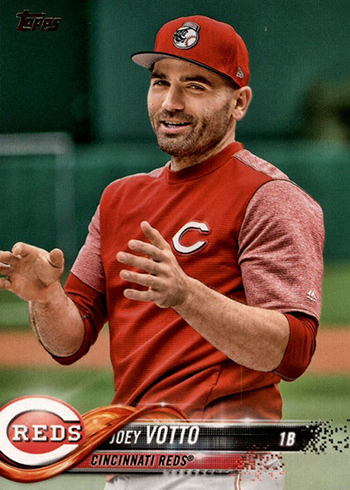 @Pete – You’ll need to check with the person you bought them off of for the promo packs. 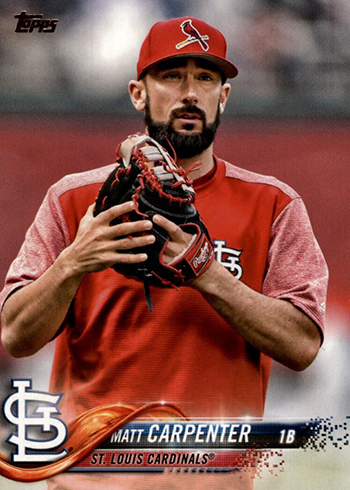 Just like all promotions, cards or not, it’s always good to check first if they’re participating in advance to avoid confusion. 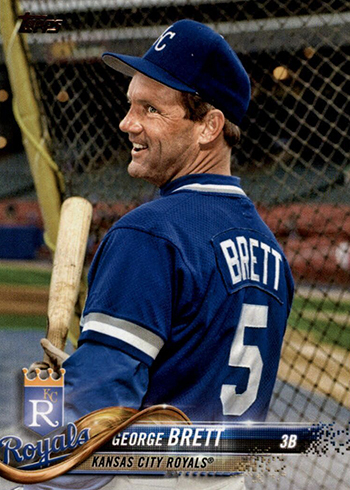 Could Pete’s question, about the silver packs, be exampled better. 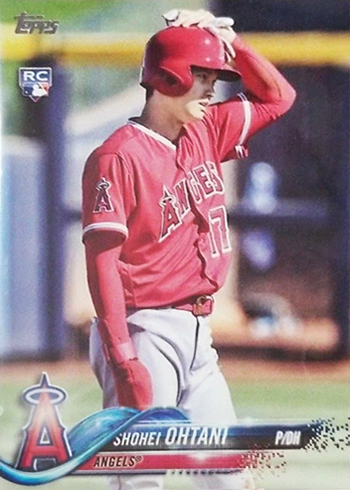 I too bought two Hobby boxes and did not receive silver packs. 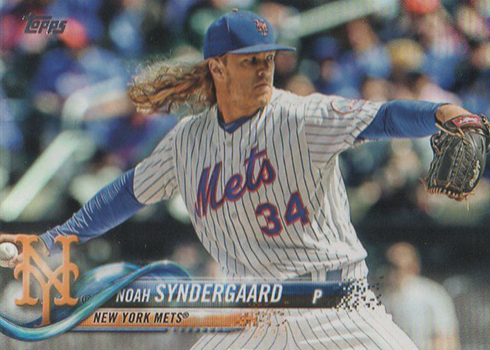 I bought them directly from Topps after reading there advertisement and anticipating their release. 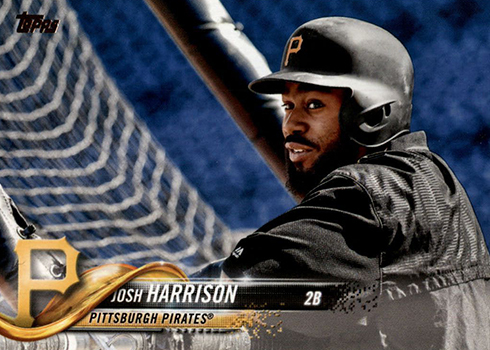 @Leon — The Silver Pack promotion was designed for dealers and hobby shops as an incentive for people to buy from business owners. 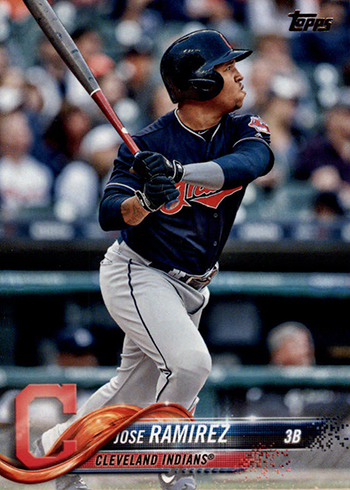 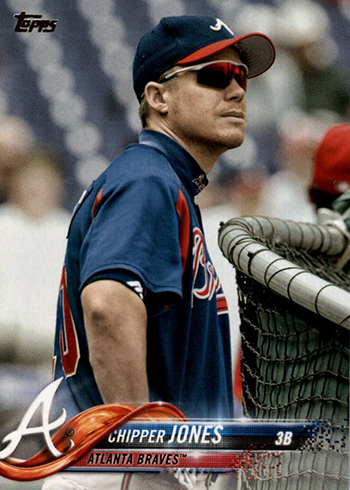 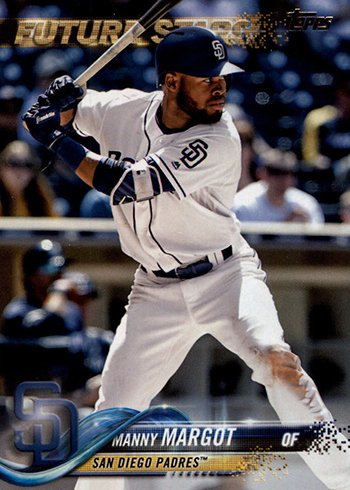 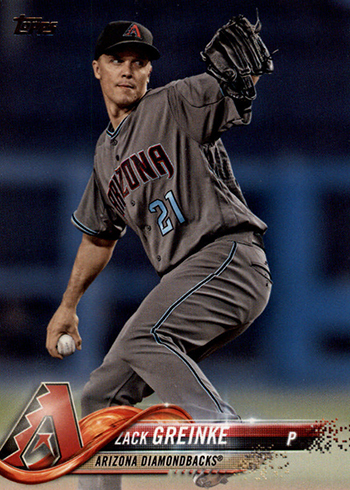 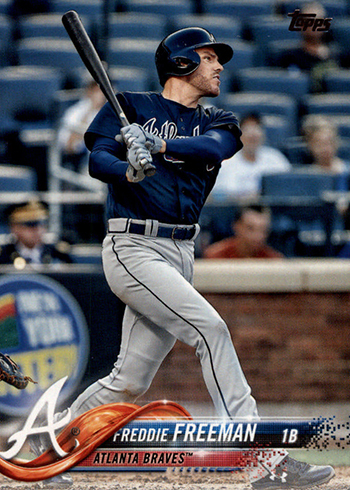 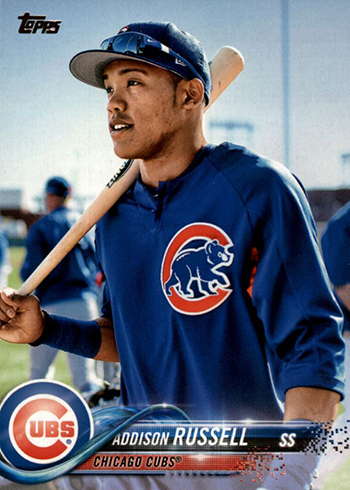 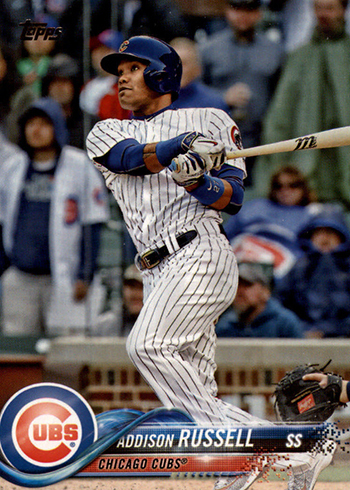 Not only did Topps rush to add Acuna and Torres in an attempt to sell more, they “photo shopped” Torres onto a card that has a teammate in the background with a different uniform on. 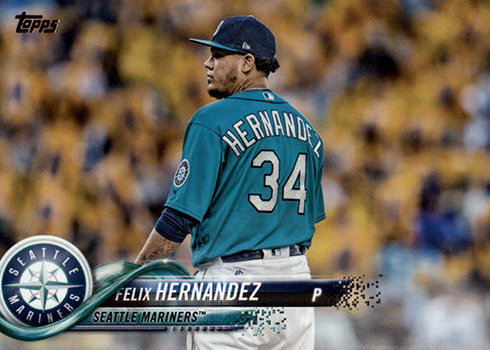 I am sure they will make another card of each with a RC logo in the update set. 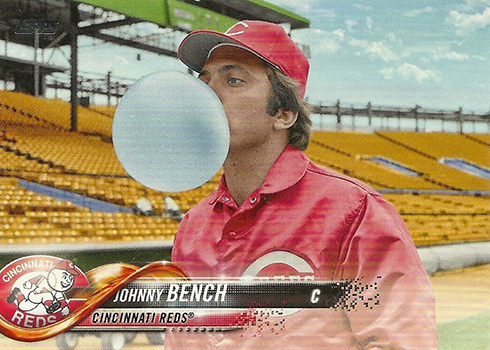 I also wouldn’t put it past Topps to add a different variation of each in the complete set. 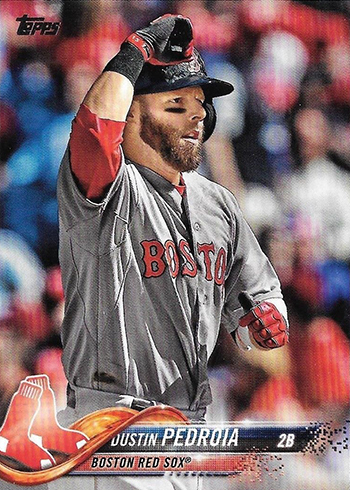 @gary – It sounds like you may have the Red parallel, which has ten copies. 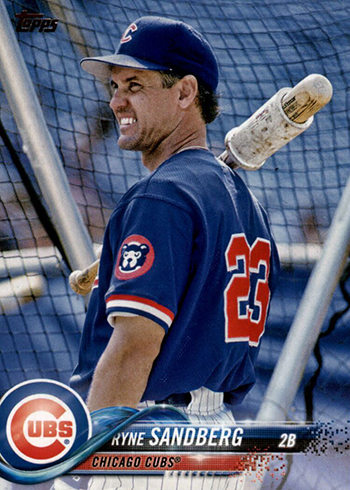 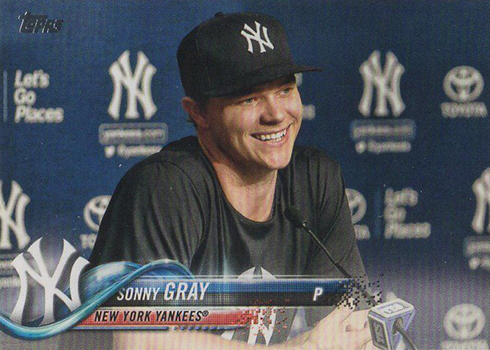 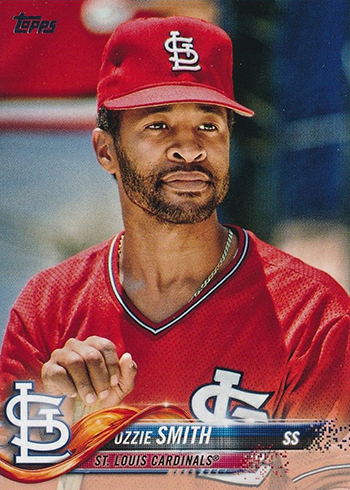 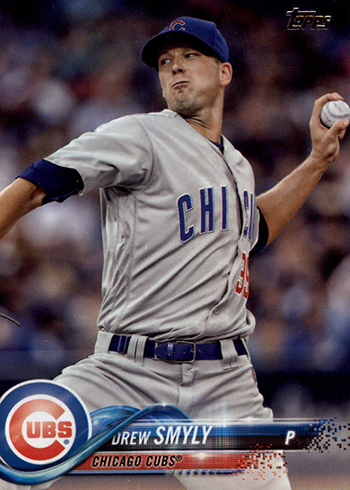 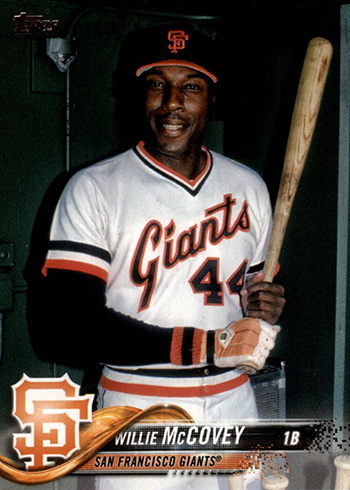 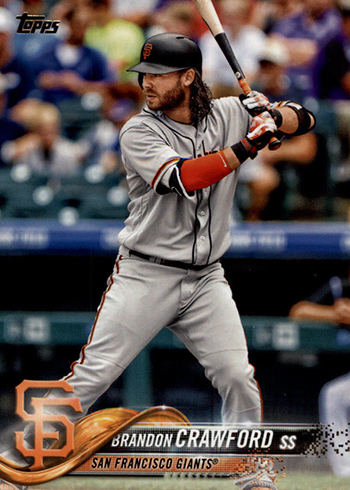 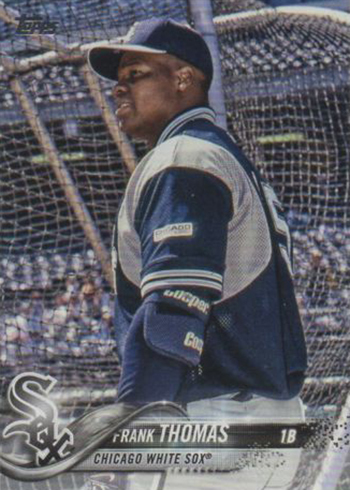 @Gary – Personally, I don’t look at parallels as Rookie Cards. 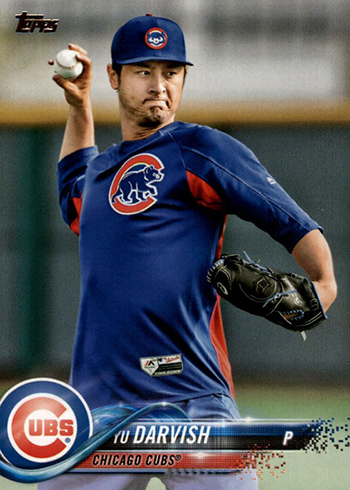 I see them as inserts. 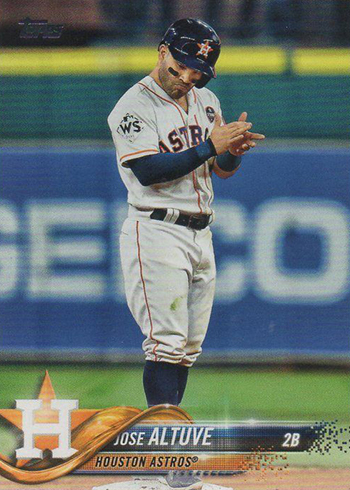 It can be fun to pull a good one but I don’t ultimately stress about it. 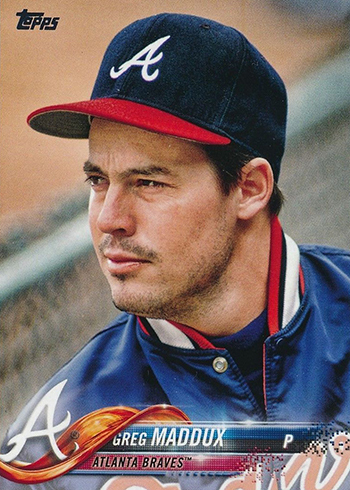 I prefer to focus that attention on the things I like. 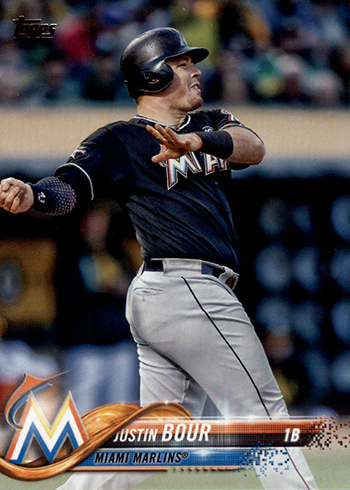 It makes it easier to block the rest out as I focus on my collection.